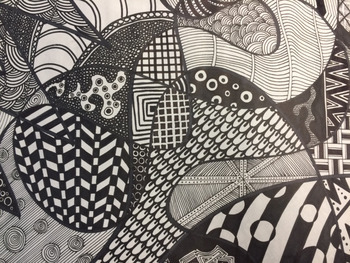 A great project for beginning artists grades 7-12 that only requires paper and permanent marker. A thorough rubric is included in the two-page project description, as are exemplar photos. This drawing project took most students about four 75-minute class periods to complete, but that time could be reduced with paper size.